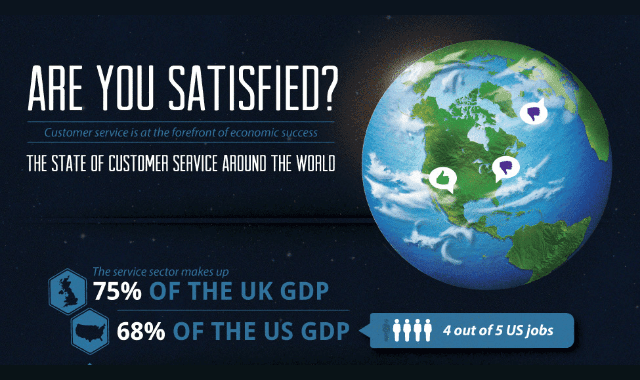 The State Of Customer Service Around The World #Infographic ~ Visualistan '+g+"
For the most part, one bad customer service experience is one too many, and we’ve got the stats to back it up. Even just a single unhelpful customer service representative can send consumers over to competitors without a second thought. Take a look!